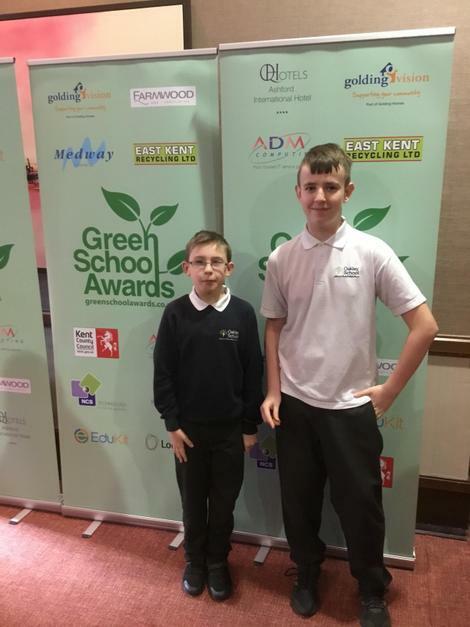 The Kent Messenger Charity Team’s ECO Warriors scheme selected Oakley School to receive a prestigious Green School Award. Last year staff and pupils did a lot of work on the garden behind one of our classrooms. However, that garden needs some changes to adapt it for the current, younger class. Thanks to Sue Hobbs, who nominated us and who leads our Eco Committee and Lunchtime Gardening Club, we will be able to make those changes in the Spring. 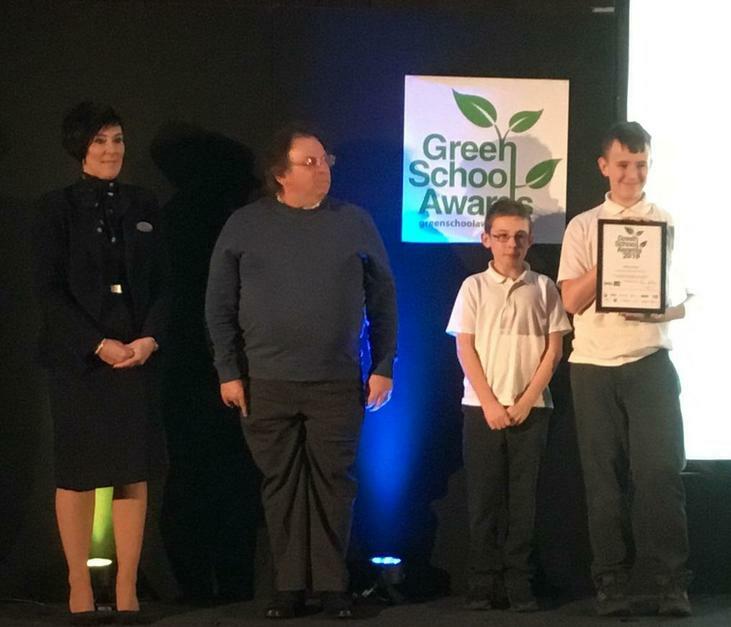 The photos below show two of our most enthusiastic and green fingered pupils collecting the Award at a formal ceremony on Thursday, 14th February.